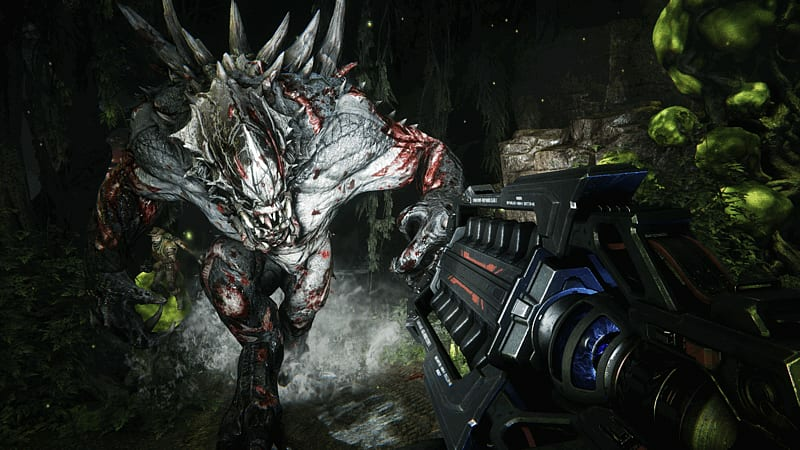 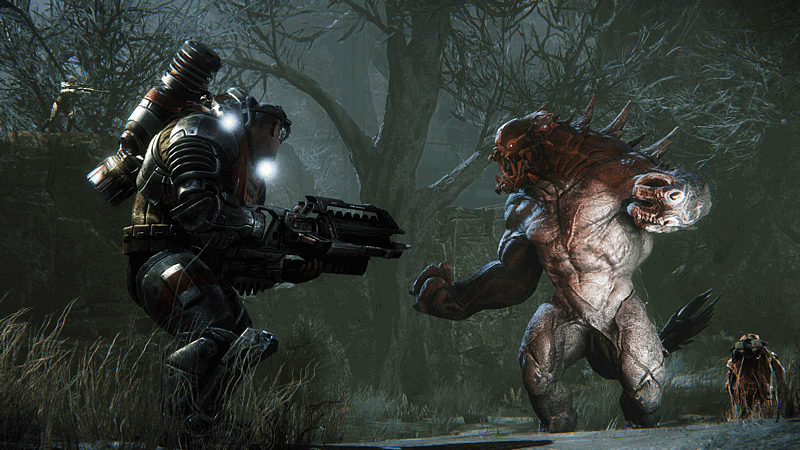 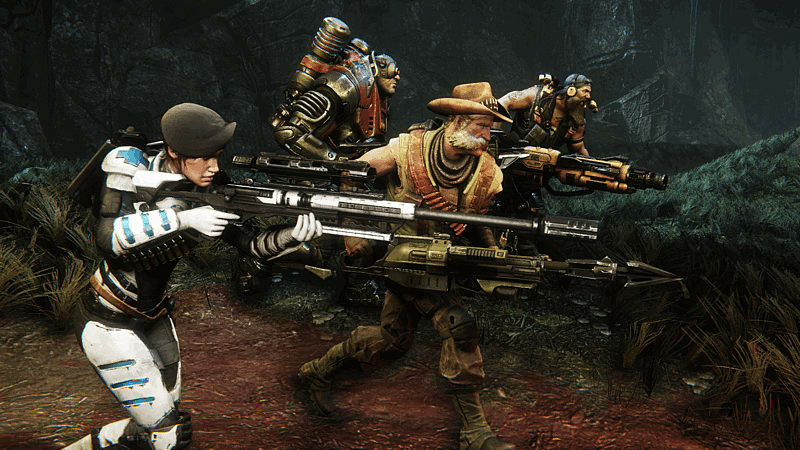 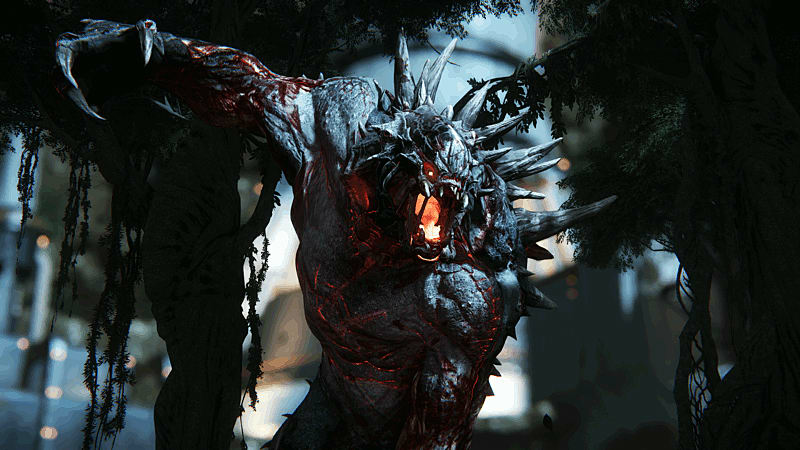 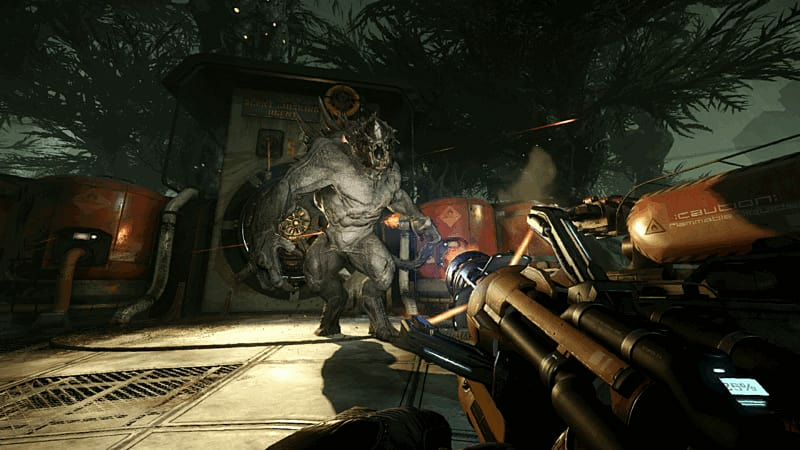 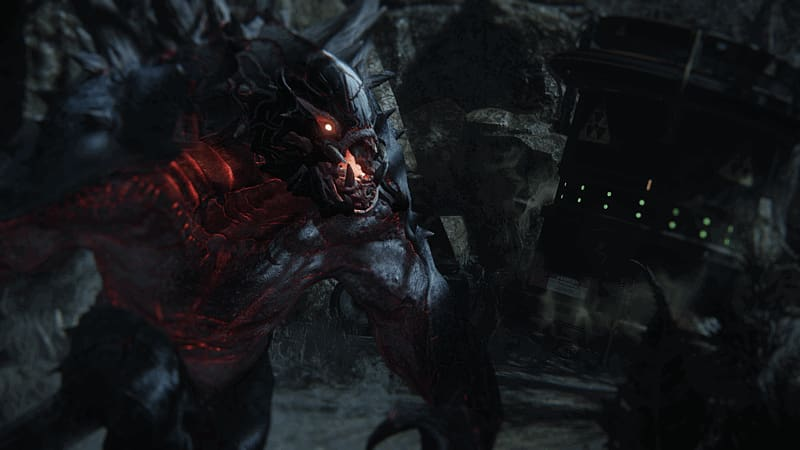 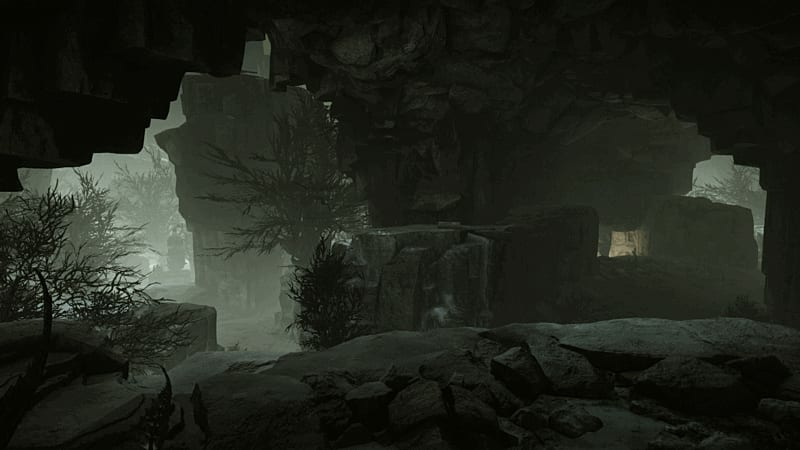 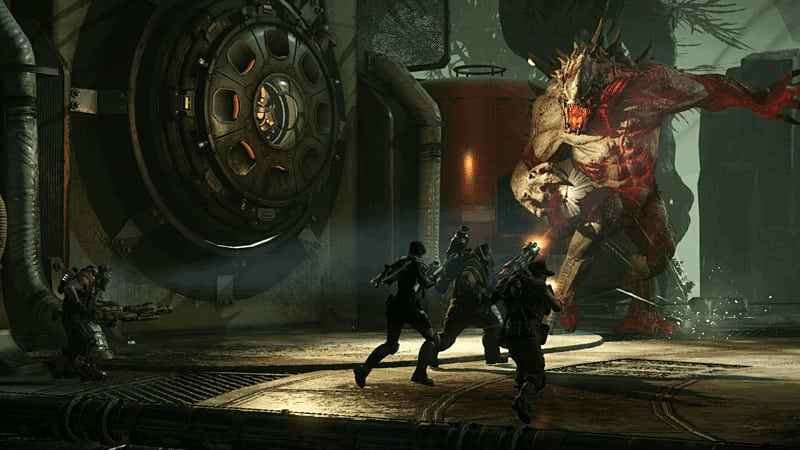 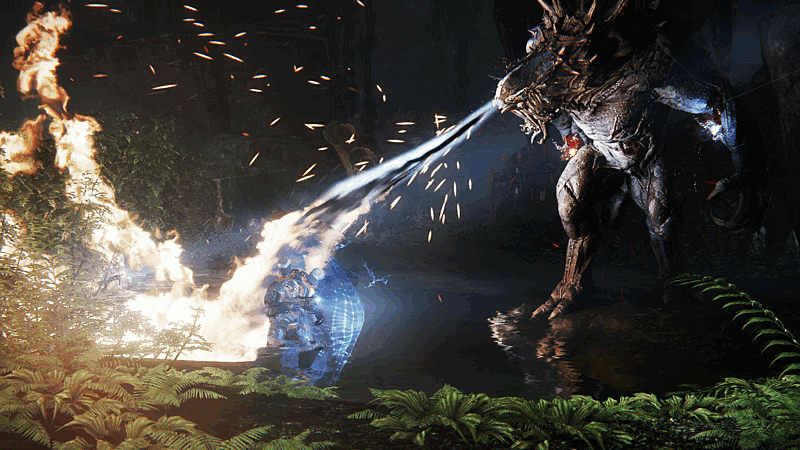 From the studio that brought that you Left 4 Dead, comes Evolve, where it's Hunt or Be Hunted. 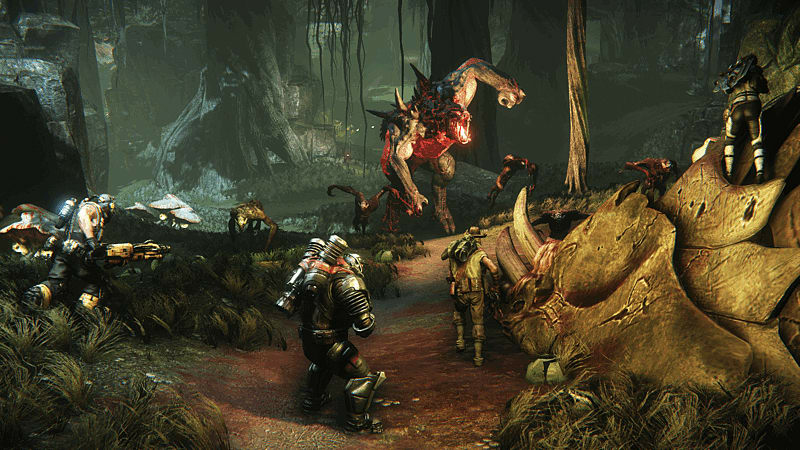 4 players team up to hunt one player who controls the beastly Goliath. 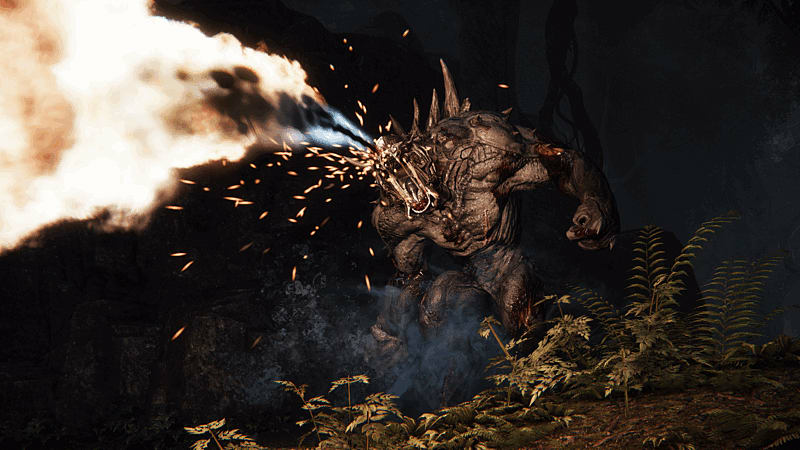 Evolve the Goliath into ultimate killing machine to take down those that think they're hunting you. 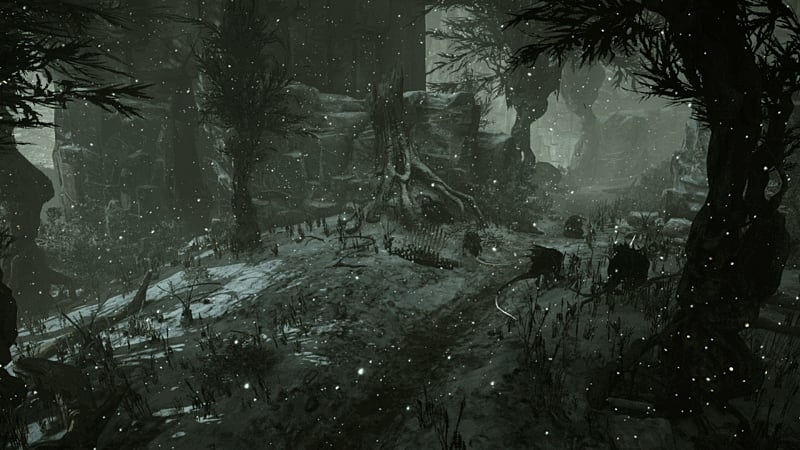 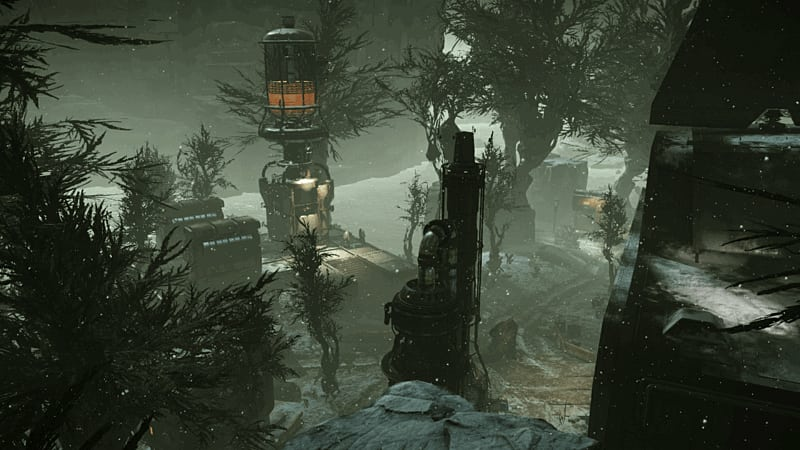 Use the harsh environment against your prey, but beware, you might fall to the flora and fauna yourself. 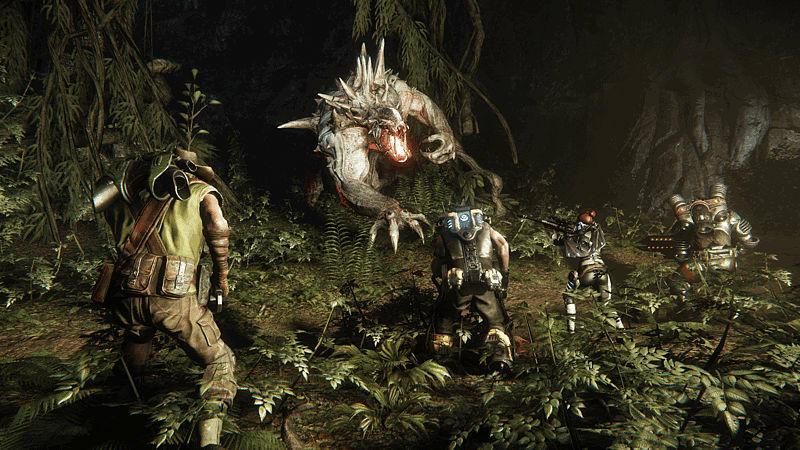 Customise your character with upgrades, skins and perks to become the apex predator. 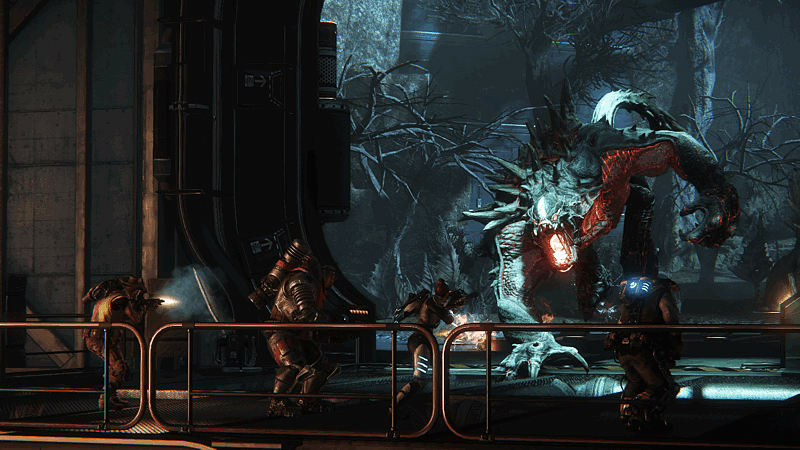 NEST: The Hunters have been called in to destroy Monster eggs that have been discovered in the area. 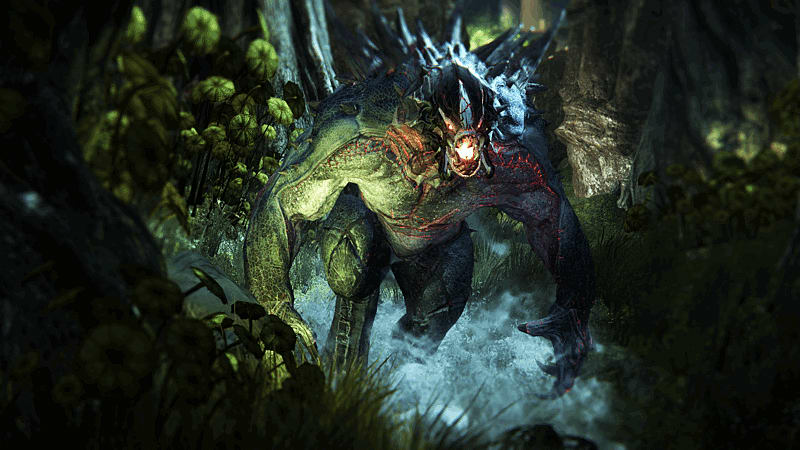 The Alpha Monster must defend the eggs and can even hatch one to gain a Goliath minion to fight at its side. 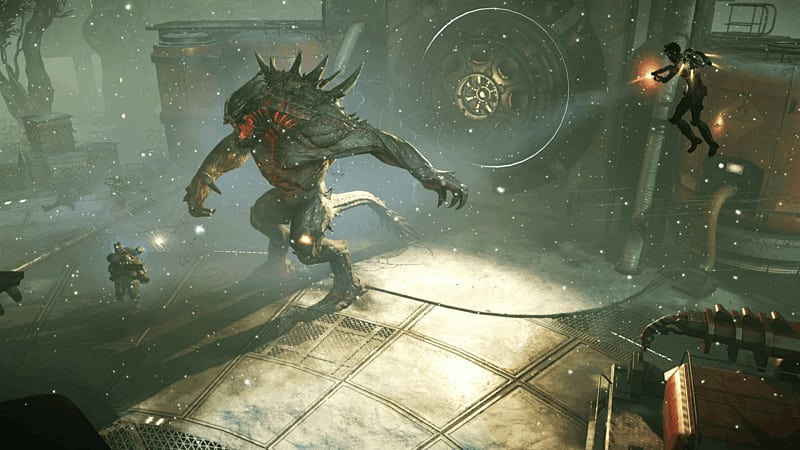 The rou nd ends when one team is eliminated, or all of the eggs and minion are destroyed.